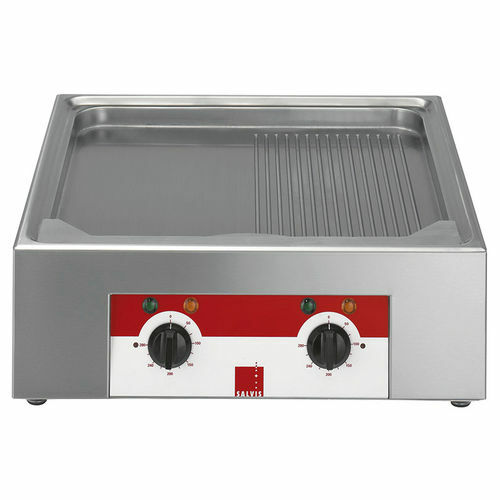 Corrugated grill surface made of special steel with seamless transition to the inner casing. Embedded fat drip dray in the cold zone. Temperature left and right continuously thermostatically regulated up to 250 °C.